If you want to see exactly what you are getting out of your subscription to Clerk.io, we have made it easy to check. Go to the home screen at my.clerk.io. In the upper right corner of your screen, click the Usage icon and you will be able to get insights about your Accounts usage. 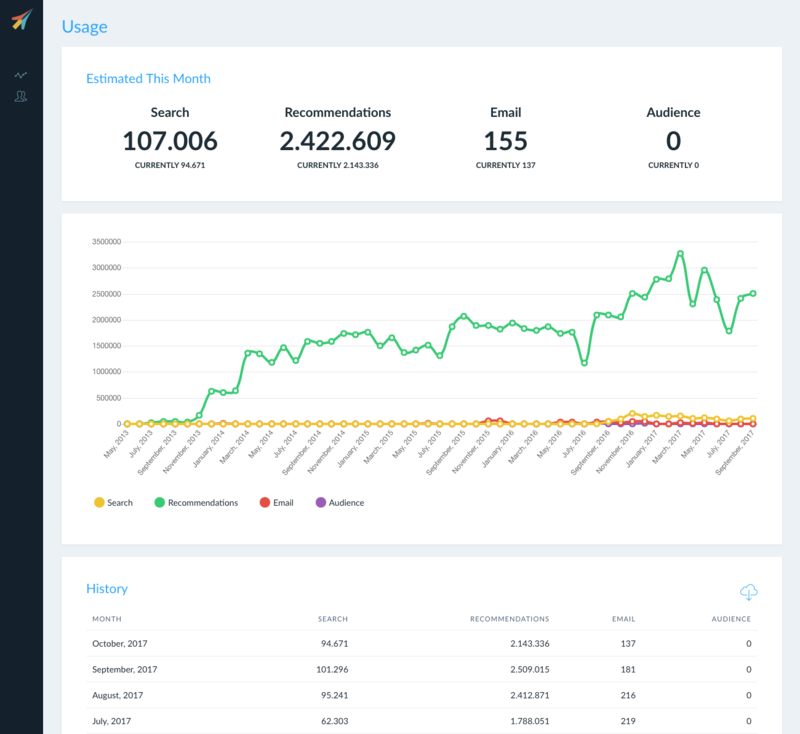 On the Usage page you can see your full usage history for each Clerk.io product, as well as this months estimated usage.